A new model for mid 2016. It is a full titanium frame lock that has been 3D milled. Standoff construction makes it easier to clean out dust and debris while reducing unneeded weight. 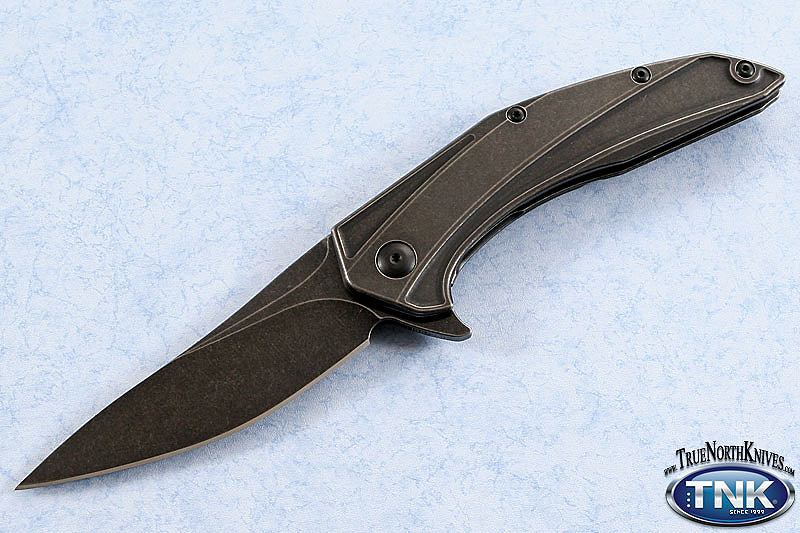 The Parallax has an elegant hybrid style blade profile that has been hollow-ground down to a razor sharp edge. D2 tool steel combines all-around great characteristics of durability, edge retention and ease of sharpening. The 4 inch blade rides on our proprietary Brous Bearing System for quick and smooth deployment.